Hamilton! This is his moment. After years of being overlooked when Americans named the members of that pantheon known as "the Founding Fathers," Alexander Hamilton has finally become a star. Literally. It took a talented young rapper and playwright, Lin-Manuel Miranda, to make Hamilton a household name across the country and not just the handsome but unfamiliar face on the $10 bill. Those of us who write about the founding era and those of us who teach it know well that Hamilton deserves this acclaim. He was a Revolutionary War officer, an ardent nationalist who was critical in the calling of the convention that produced our Constitution, the author of many of the Federalist Papers that helped get that frame of government ratified, a confidant and advisor to President Washington, and the genius behind the creation of key institutions that shaped our nation’s political economy. His life is exactly that rags-to-riches story that immigrant or poor children in our classrooms hope to recreate, and even his political enemies acknowledged that his genius, his talent, and his drive were the source of his success. His boundless ambition was not to achieve great wealth; it was to play a central role in the creation of a great nation. 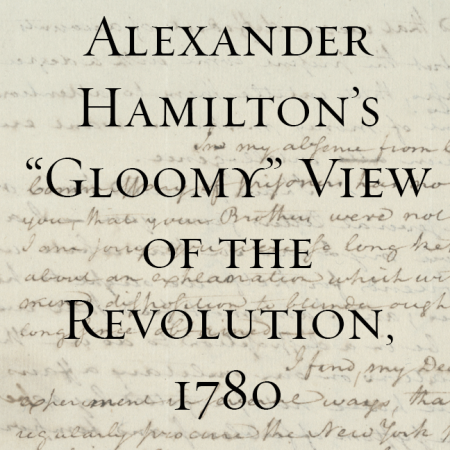 Thus, although he is often praised for his practicality, Hamilton was really a visionary. Modern America is, in many ways, that vision come true. The essays and videos in this issue of History Now paint a vivid portrait of a complex, controversial, and admirable man. In "Alexander Hamilton, the Man Who Made America Prosperous," Richard Brookhiser focuses on both Hamilton’s political achievements and the ideas that propelled them. He stresses Hamilton’s efforts to establish the new nation’s public credit and direct the trajectory of its economic development. 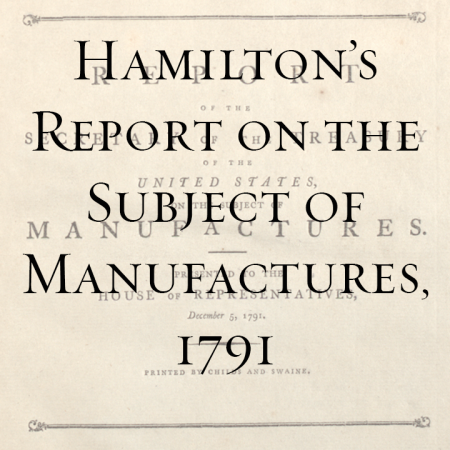 He points out that behind Hamilton’s programs was a desire to see Americans find self-satisfaction and fulfillment in their occupations, and a wish to extend freedom to black as well as white Americans. Joanne B. Freeman answers the most common questions asked about the most familiar aspect of Hamilton’s life: his death in a duel with Aaron Burr. 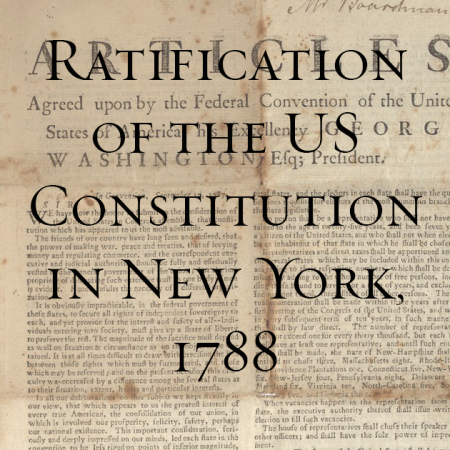 In "Understanding the Burr-Hamilton Duel," Freeman explains what caused the confrontation and sets the duel in the broader context of eighteenth-century political culture. 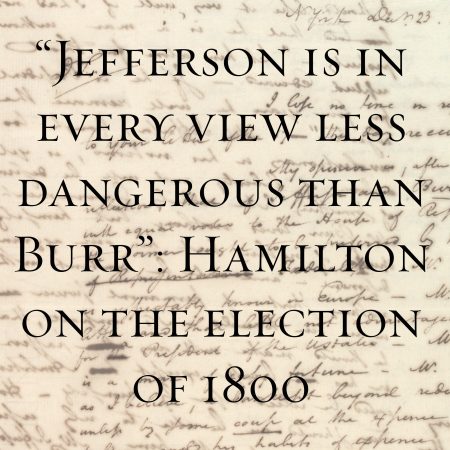 She also argues that Burr probably did not intend to kill his opponent, that Hamilton was not trying to commit suicide by dueling, and that Hamilton felt it necessary to accept Burr’s challenge. 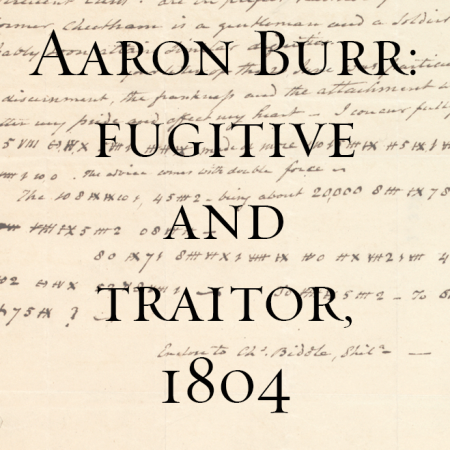 Freeman also explains why Burr wasn’t arrested in the aftermath of the duel. Finally, she considers the role this famous episode played in the demise of dueling. In "Making a Film about Alexander Hamilton," award-winning documentary maker Muffie Meyer offers us an insider’s view of the challenges of bringing an eighteenth-century figure and his era to life. What comes across as she talks about scenes of Hamilton’s early days in St. Croix and his later life in New York City is the extensive research required to produce a convincing portrait of Hamilton’s world. She also describes how the actor chosen as Hamilton prepared for the role. In "Alexander Hamilton on the $10 Bill: How He Got There and Why It Matters," Brian Murphy follows the ups and downs of Hamilton’s reputation for over a century. When the removal of Hamilton’s portrait from the $10 bill was recently threatened, Americans from Wall Street to Main Street protested. Although Hamilton was never president, he was the architect of the nation’s financial system and the founder of institutions that facilitated the economic growth of the country. As Murphy points out, Hamilton’s opponents, including Jefferson and Madison, railed against him but they proved ready to use the fiscal tools he had created to accomplish their own ends. Murphy points out that most people who took a position on the proposed removal of Hamilton from our currency preferred to remove Andrew Jackson from the $20 in order to make room for a woman on that bill. Jackson, after all, vetoed the rechartering of one of Hamilton’s major achievements, the Bank of the United States. The result was financial panic. Finally, theater critic and scholar Elizabeth L. Wollman, who has written extensively on musical theater, looks at Broadway’s biggest hit show, Hamilton, in her essay "‘The Authentic Voice of Today’: Lin-Manuel Miranda’s Hamilton." Wollman reminds us that the rock-and-roll musical Hair was a critical precursor to Miranda’s show, for it proved that popular music had a place on Broadway. Wollman notes that the two shows differ in approach and setting: Hair was an edgy contemporary critique of American culture and foreign policy; Hamilton, set in the past, is more optimistic as it bridges the gap between past and present by telling Hamilton’s story with a cast of actors of color. Although there are major differences between these two shows—one is set in contemporary America, the other in the past; one is critical of its society, the other celebratory—they do share much in common. Both, Wollman explains, depict young Americans who love their country; both have diverse casts; and both have innovative scores, providing the "voice of today." Wollman describes Hamilton as evolutionary rather than revolutionary, for it pushes the musical genre forward but remains true to the tradition of Broadway. This issue of History Now is filled with bonuses. Each of these essays is accompanied by images, in some cases images of documents or photographs, in others of artifacts. There are also clips from the 2015 George Washington Prize, awarded to Lin-Manuel Miranda. 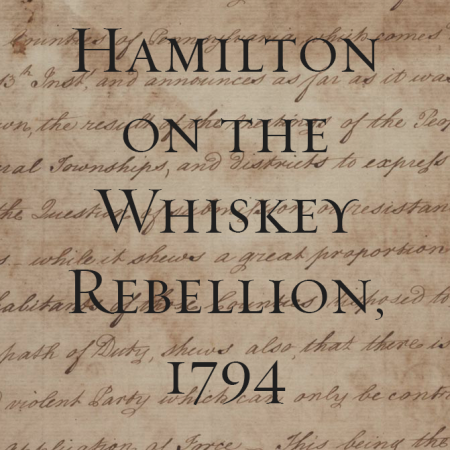 You will find a Hamilton timeline and digital exhibit, a bibliography of readings on Hamilton, primary sources relating to him, lesson plans, and a video of a performance of "One Last Time" from Hamilton. A performance of “One Last Time” from the Broadway musical, Hamilton. Performed by Lin-Manuel Miranda, Christopher Jackson, Sydney James Harcourt, and Ian Weinberger at the 2015 George Washington Prize dinner in New York City.